A 2 headed grooming brush for cleaning and combing eyelashes and eyebrows. This unique brush helps to clean and groom eyelashes and eyebrows. 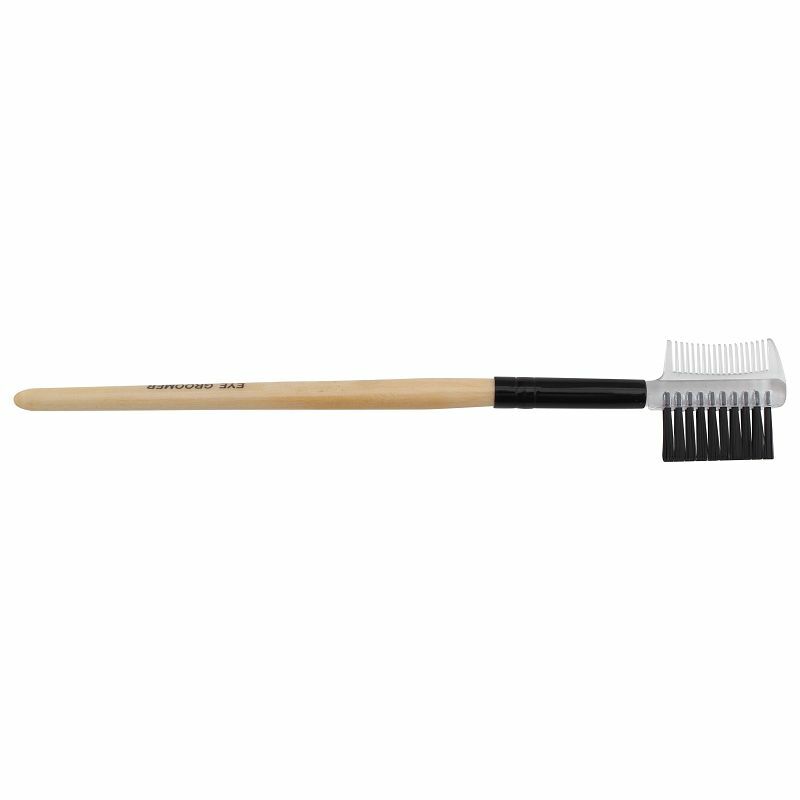 Its soft bristles help remove dead skin, dust, bacteria and other residues which might be trapped in between the hair. It also removes dried eye makeup residue(mascara, kajal and eyeliner) and keeps lashes and eyebrow hair de-clumped. -Dab the brush on the blush/foundation/eyeshadow/lipstick and tap it to drop off excess. -Apply the product on the contours of your face, with light upward strokes and blend evenly. -Apply the lipstick on the lips by starting along the corners moving towards the center and blend evenly.